Lets talk nail polish today! I have been testing out a full line of professional premium nail lacquers and nail treatments (basecoat and topcoat) from Best Nail Treatments. If you are not familiar with the brand name "Best", it is made by Poshe Products. 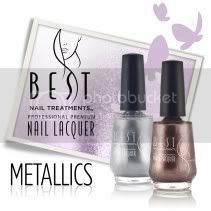 Best Nail Treatments offers adhesive basecoats and shiny fast-dry topcoats as well as a whole new line of professional nail lacquers. Best features the "Air Cure System" in their formulations with will allow your manicure to dry within 5 minutes or less! The polishes do not yellow! Unlike other fast-dry topcoats and fast-dry polishes, Best's dried product is flexible so that it won't crack. Products do NOT contain any of the following: Formaldehyde, Toluene, or Phthalates. Best was founded in 2010 and is a female owned company. I tested out the Best Polishes used with both the Basecoat and Topcoat. I found that these formulas were comparable to other salon polishes that I have tried. They wear for about 3 days with absolutely no chipping. That is generally my "average" length for a manicure. After 3 days I am usually ready for a polish change anyway. I am pleased with the results! 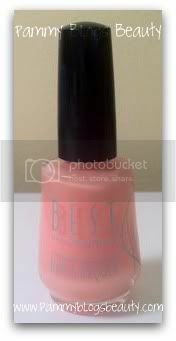 This basecoat applies quickly and smoothly and performs well. I will continue to use this product! I apply 1-2 coats to my bare nail before colored polish. Rubberized basecoat grips your polish and makes your manicure last longer. Like the name states, this is a fast-dry topcoat. I apply this after my colored polish. I allow about 5 minutes to dry. This work great! It seems "thinner" than my usual top-coat (I switch between Seche Vite, Sally Hansen Instant Dry, and Sally Hansen Mega Shine). Can be used on natural or artificial nails. Dries your manicure in less than 5 minutes. Seriously! But, I am still "gentle" with my manicure for another hour or so while it cures completely. Can be used for a refresher in between manicures. I tried out polishes from most of their categories. The only categories not represented here are Special Effects and Neon. So, Best does feature a full range of neon shades as well as "special effect" polishes (metallic topcoats). These Best polishes apply very evenly. No streaking! I am super pleased with these great quality polishes. These glitter polishes are gorgeous!!! There are 8 glitter shades. I tested out Freeze which is a true silver glitter. What do I love about this polish? Well, the glitter applies *so thickly*!!! It looks like solid glitter. I love the look of this. I wish my photo below could have captured the true beauty of this polish. 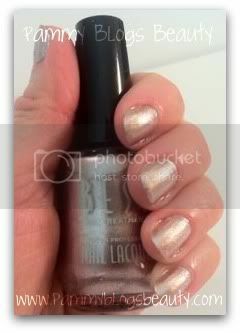 This looks great as an uber-sparkly polish on your fingertips! Think of it as "jewelry" for your nails. 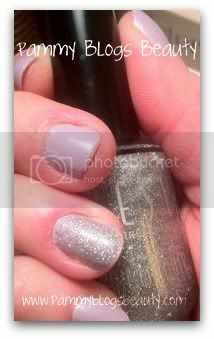 For my manicure below, I used Zoya in Marley and used Best Freeze for my "bling" finger. Can't wait to do this combo again! Best offers a wide assortment of pearl shades (16 shades I believe). The pearl finish packs shimmer and a bit of microglitter for a beautiful pearl-like shine/sheen. I tested out Sorbet which is a gorgeous pearly peachy-coral. This has been my go-to shade for a pedicure during the hot months! Creme are Best's rich matte shades. There are 15 shades available in the creme line. I tested out Summer Coral which is a beautiful orangish-coral color (much darker than Sorbet, above). This is another pretty pedicure color. I am actually wearing this one right now! Lovely! Best's French Manicure line is an assortment of whites and sheers for the perfect French Manicure. I tested out Baby Pink which is a totally sheer milky peach toned polish. This is great for French Manicures or for just a nice natural looking nail. I tried swatching it for ya'll, but it just turns out clear. See bottle below. Overall, I think that Best offers a great selection of quality Nail Polishes and Nail Treatments. I love that they are free of many of the harmful fumes and chemicals that nail polishes often contain. The polishes apply with ease, don't streak, wear well, and dry quickly. I am so pleased! This is a brand that is new to me. The pedicure color is perfect on your toes. These sound so great and they're very affordable. Lately, I do my own nails because they seem to last a few days longer than the average salon manicure because I can add as many coats as I please. I'm excited to try them! Do they retail at most drugstores?